MILFORD OFFICIALLY WANTS OUT... WHERE TO NOW FOR RAIDERS? 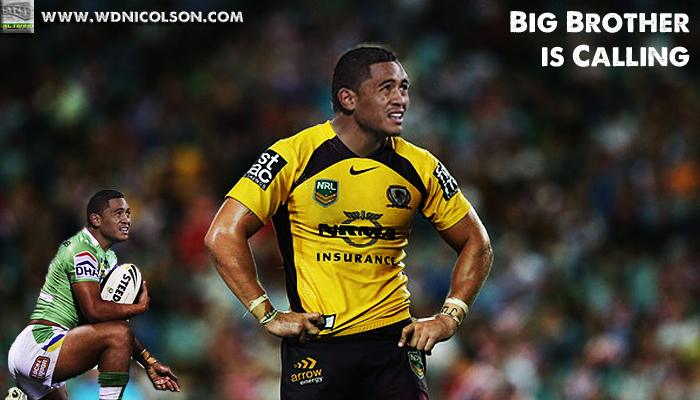 Anthony Milford is one of the brightest young talents to grace the footy field in 2013... and has become that playing for the Canberra Raiders. The Brisbane Broncos - currently clinging to a faint hope of a playoff spot - are retooling their 2014 roster by targeting two incredibly talented players in Milford and Canterbury's Ben Barba who have been nurtured through the ranks by their current clubs. Canberra cannot stop Milford from exercising a 'get out' clause in the two year contract he signed in 2012. His get-out clause relates to being with his family in Brisbane - where his father is under medical instructions not to move to Canberra and the Courier Mail is doing a wonderful job as a PR agency enhancing the Broncos' chances of forcing Canberra's hand. When it comes to 'Free Agents' (normally that means players out of contract... except when, well this happens) - Canberra cannot compete with the lure of the big clubs... that is the ones with a profile they both build and are maintained by TV networks. Especially with no Draft or Trade System in place. Now taking all the above into consideration - you should not be sitting there drinking your coffee thinking to yourself 'Poor Canberra'... instead just come to the realisation that the level playing field in the NRL we keep hearing about doesn't exist. And quite honestly - it never will be and really, it probably can't be. You can't have a competition structured the way the NRL is (so many teams in one city and single sides in other centres of various size and commercial influence) and expect equality to reign across the recruitment and retention systems for all 16 clubs. But you can look into ways to make this a little fairer... for example - a Draft and Trade System. As the story goes - no one in recent positions of Rugby League power likes the 'Draft' word. "There is significant strategic downside for the game in our competition to attract athletes if we're saying to mothers 'come and play our game but we might have your son (sent) to out of town when he's 18'," David Gallop said in 2012 and as of yet - there has been no change in that stance under the ARL Commission. The most used reason against a Draft or Trade System is often 'a player needs time to set his life and family up somewhere else' well in advance of the next season... and shouldn't be forced to play anywhere. Yet players swap clubs or countries whenever the money or opportunity moves them and the beauty of the system touched on below is - players can actually have a say where they end up if change is brought in - as do the clubs. Also player managers who have the services of the 'next big thing' are no fans of a Draft or Trade System because they want to sell their asset off to the highest bidder, instead of to the team with the #1 pick... but it doesn't stop US agents from making a princely sum for themselves and their players at the huge events that are the NFL, NBA and NHL Drafts every year. But in pro sport in North America - everyone seems to love the Draft. The fans of all the pro teams eat up any skerrick of info about players or team motives throughout the year... and the players who get drafted like it an awful lot - because they get PAID! As do the agents, and the clubs get to actually decide their next step on the rebuilding or retooling path. And as a TV/Media property - it is a massive money spinner. Enter the Amended Draft System*. For Canberra the reason an Amended Draft System would have helped them, is they would now potentially get something for losing Milford - rather than spending 5 or 6 years of development on a player for another team to take advantage of... and end up with nothing, and having to try and find another Milford and then risk losing him again in 5 or 6 years time. Under an Amended Draft System that has been constructed by the author, Milford would not have been lost to the Raiders for nothing. It involves an annual Draft and Trade Period that sees each team having to protect a certain number of players on their roster before the draft, being able to trade players under contract for an actual return on their investment before the draft and this leaves players coming off contract over a certain age as the only true Free Agents - after the season ends. *I have touched on this Amended Draft System before but am not publicly releasing the finer details here. If any decision makers want to seriously look into how this would work you can contact me. Now the 1991 NSWRL Draft had its merits but for the following reasons was thrown out when challenged by players and their agents. Essentially under the Amended Draft System the Raiders would be in a position where they hold Milford's rights until he is a certain age, but in choosing to do so they would expose under-contract players to the Amended Draft System. So right now - Canberra will lose Milford for nothing, but in the Amended Draft System I have devised - they could either choose to protect him from the Draft or trade him (to the Broncos) while under contract and get something back for him before the Draft. 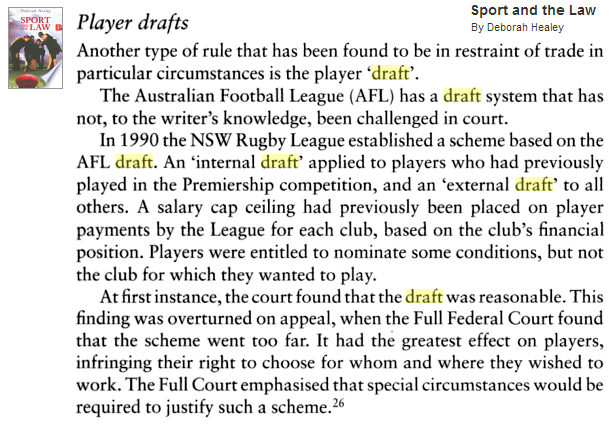 But as of now - the NRL, players or agents aren't (to our knowledge) looking into anything like this Amended Draft System - so the influential clubs with more than just money to spend (although of course, more money is always a factor) will target prominent players they want - and get them. Is it right? Probably not. Is is Rugby League reality? Yes. The Milford situation is not a new one, but it could be one of the last times this happens without a club gaining some compensation from the uneven recruitment playing field. The Raiders should simply focus on youngsters from their 'regional catchment' in the hope that they might want to stay in Canberra. Or can the NRL finally look into an Amended Draft System that can spread unprotected talent and get a club something back for players who don't want to stay... or find a new taker for a player they don't want to keep. Seriously how cool would this be every year? And another thing... Penrith have cut loose promising young playmaker Blake Austin after just one season of a two (or three?) year deal he signed for the 2013 season onwards... he will join the Wests Tigers in 2014. Given Penrith are loath to see juniors they have developed not make it through the grades and be the core of the Panthers (something that has not happened for far too long according to management) - so this points to Austin not being in Ivan Cleary's plans long term. This is a fine example of a young player who would truly benefit from an Amended Draft System and the Panthers would still get something for developing him... instead of what appears to be just cap space for 2014.